How to Make Giant Bubbles - it only takes a few ingredients! How to make giant bubbles. It’s so easy to make GIANT bubbles. 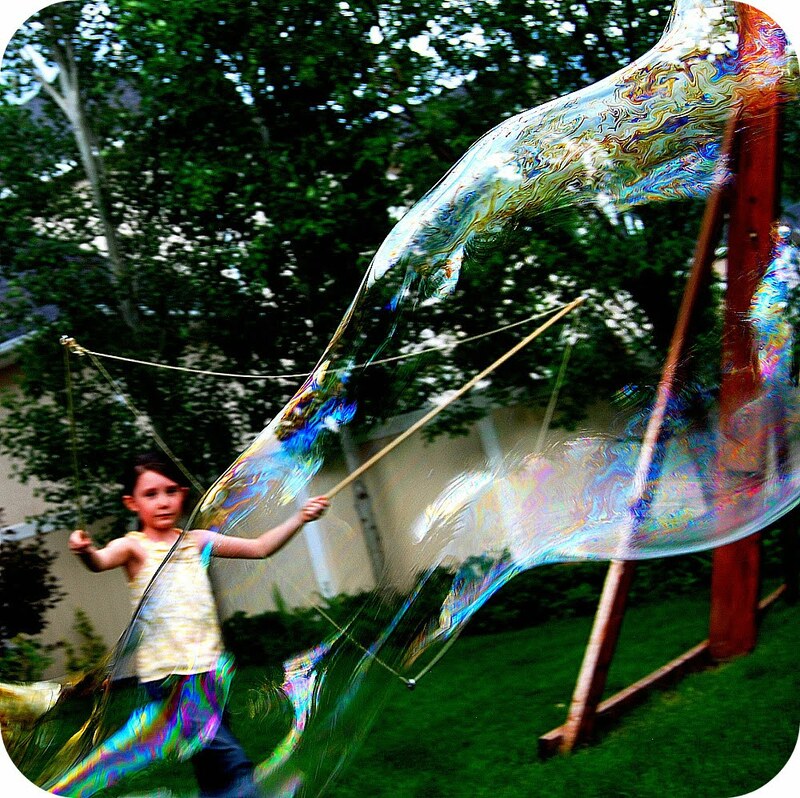 It only takes a few ingredients and your kids will love making giant bubbles this summer! 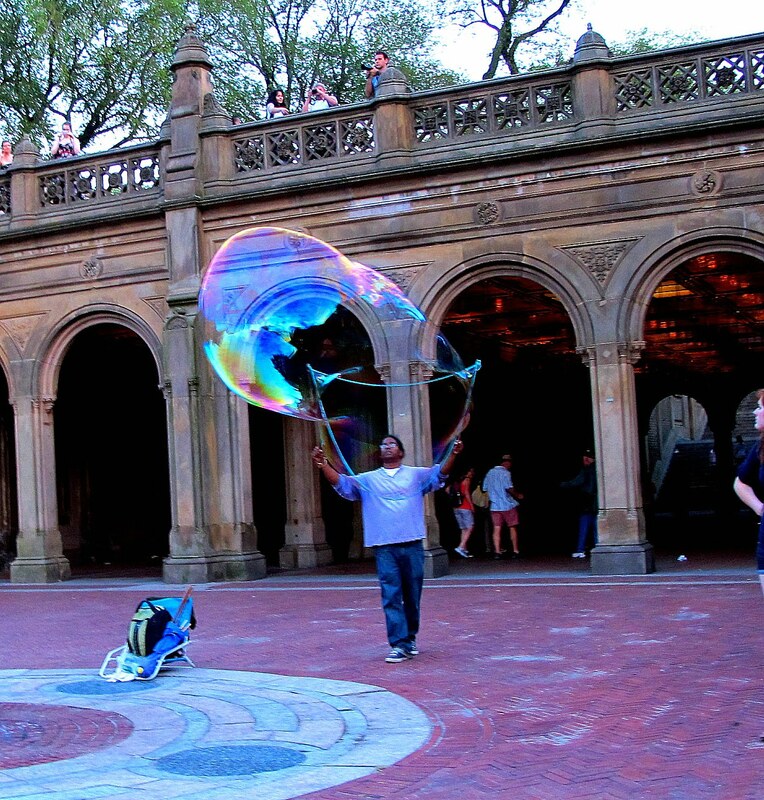 We took the kids to New York City a few years ago and saw a man making giant bubbles in Central Park. Ella was mesmerized. She thought it was the best thing she had ever seen. When we got home I saw my good Friend Rhonda posted pictures of her kids doing the same thing. I knew I needed to make some with my kids! 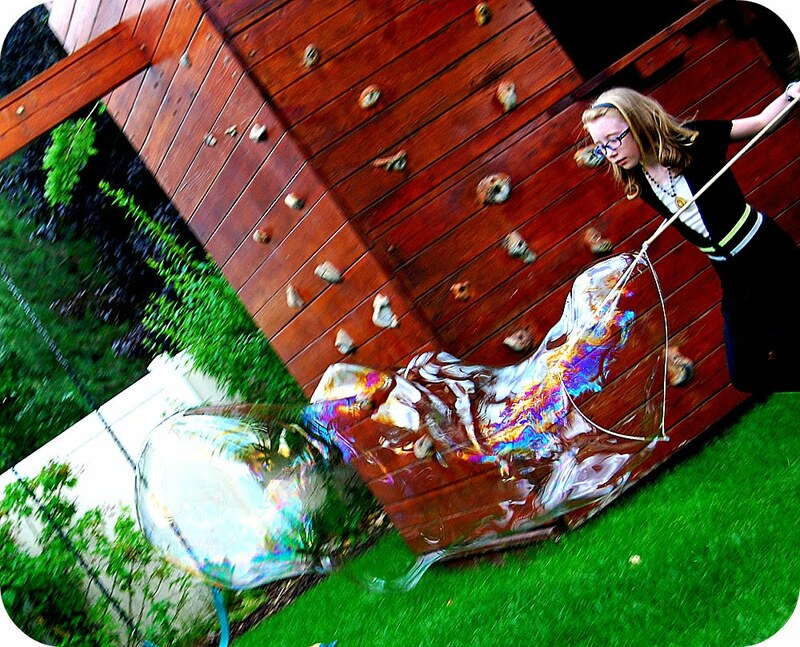 Giant Bubbles are fun to make with kids of ALL ages! 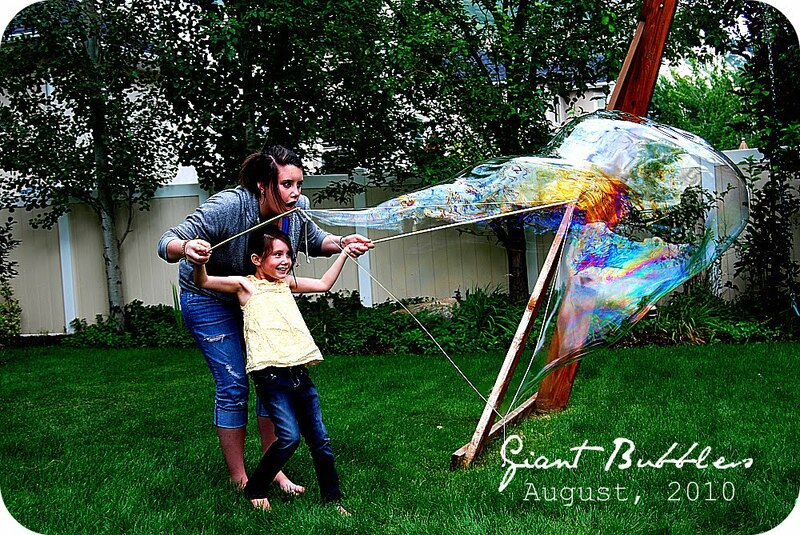 Giant Bubbles should be on your Summertime Bucket List! It is such a fun activity to do with your kids! Rhonda has a wonderful tutorial on her blog. Because it’s so hot and dry here, we changed a few things up to make our bubbles last longer. 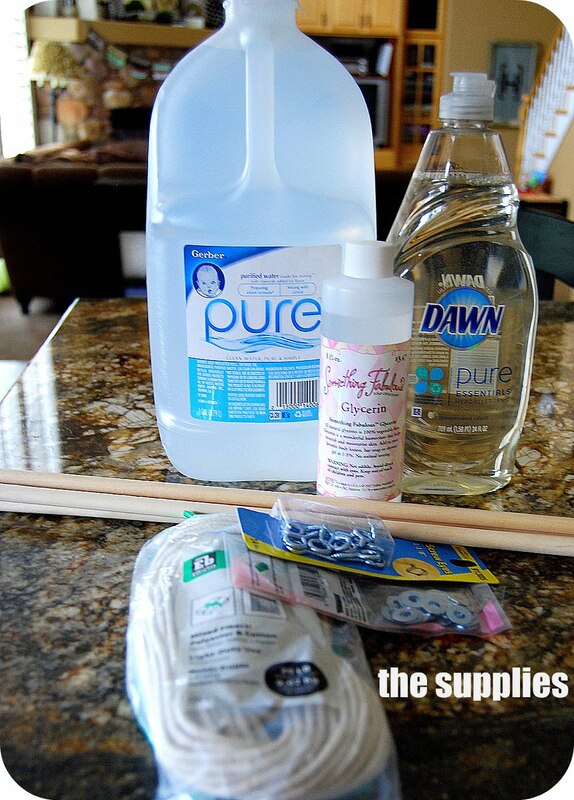 Pour the water into a bucket. I used a clean plastic container. Pour the dishwashing soap into the water. Then mix it gentle with a wooden spoon. Mix gently again. You don’t want ANY bubbles. 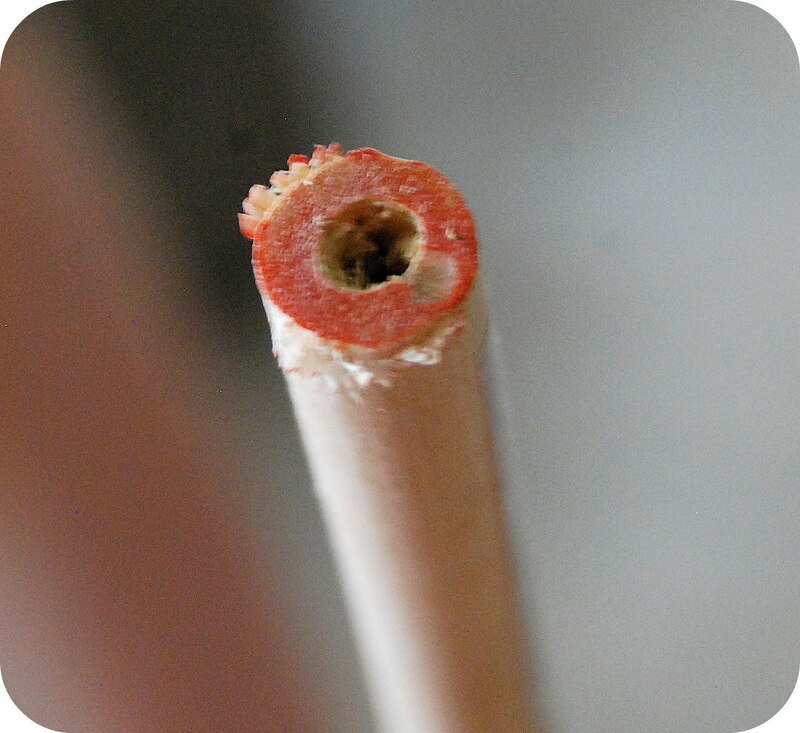 Drill a hole in the end of the dowel. Screw the Eye Hook into the hole you just drilled until it is secure. Put the ends of both pieces of string through one of the eye hooks and tie a knot. Do the same thing on the other eye hook. Now you should have a long string and a shorter one that runs from one dowel to the other. 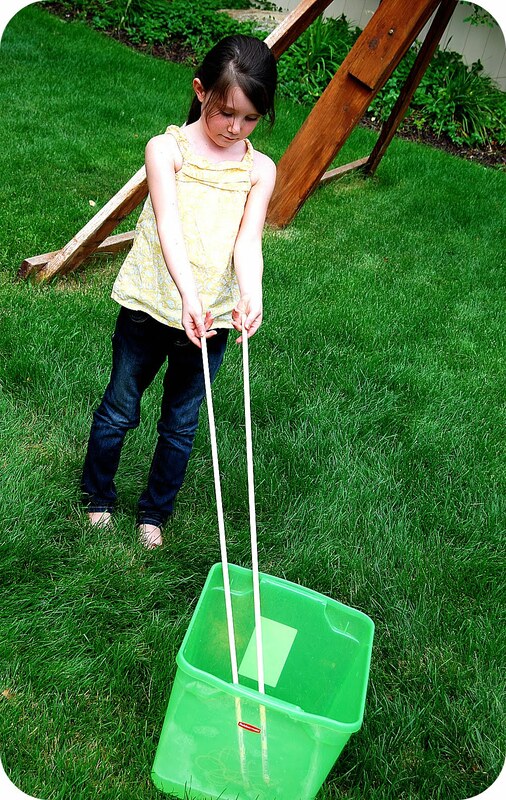 Put the end of the dowels in the bucket and the string should be submerged. Bring the ends of the dowels up from the bubble solution, together until about chest high. 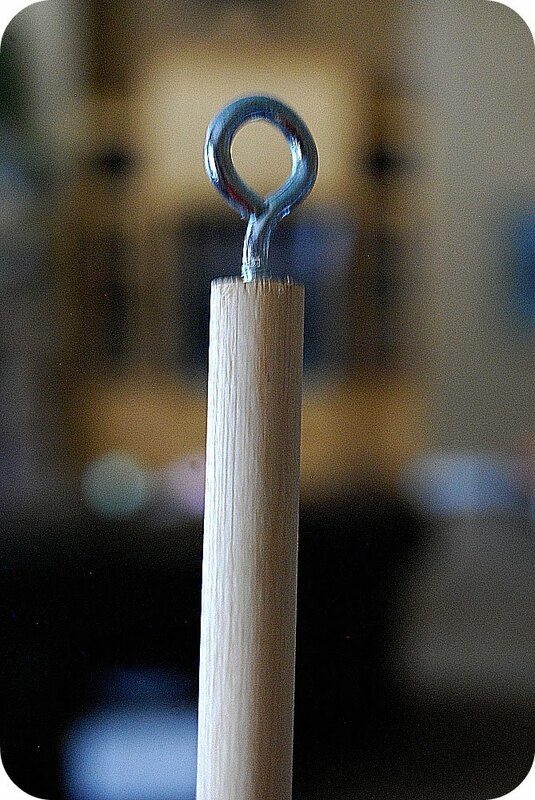 Then separate the dowels by pulling them outward so the string makes a triangle — pointing down. The washers will weigh the center of the bottom string down. **it takes quite a few times to get the hang of it. But once you figure it out, there are hours of fun to be had!! ** You may have to ‘tweak’ the bubble solution a little depending on where you live. We had to add more glycerin that was in most of the recipes that we found in order to get our bubbles to last longer. I think this is because we live in a very dry climate. Fall Project — Make Chalkboard Bubble Silhouettes! Back to School Planner or Notebook Teacher Gift Idea and Free Printable Tags! How fun!! Can’t wait till it cools down outside so we can try this! Iy’s really fun! I think you will love it! Can someone help me with what string to buy? I’ve been searching for 3pound weight sting like it says but nothing seems to come up. Thank you!! 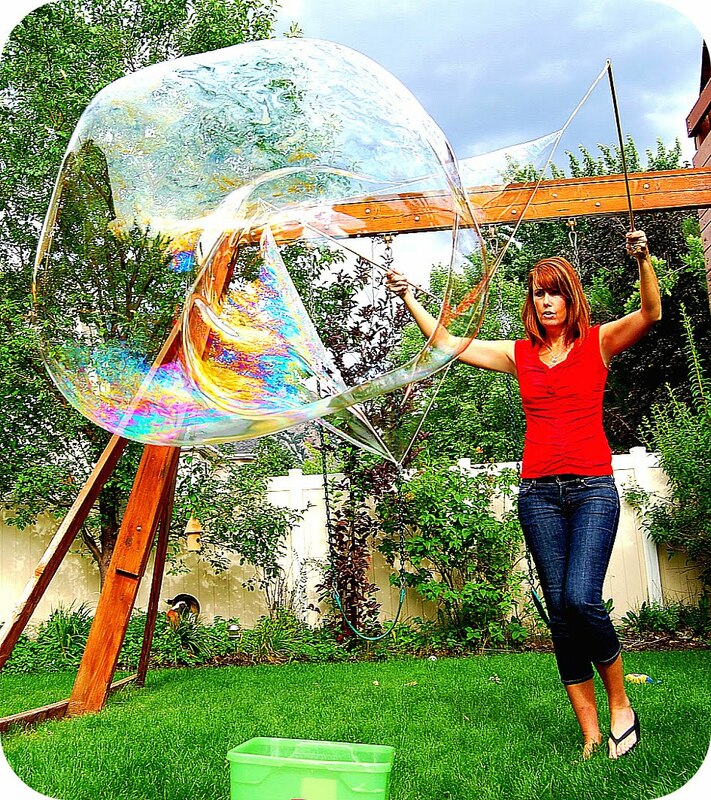 Hi Jennifer, for people who want even bigger, easier, less expensive giant bubbles, I suggest you send them to http://bubblething.com. In 1984, after I invented the Bubble Thing and this whole giant bubble craze was underway, I used to recommend glycerine. But it’s very expensive, and so I developed my BIG Bubble Mix, which is way better. It’s a powder, and you can make gallons of solution with the amount that comes FREE in the package. Which does matter, because giant bubbles do use a lot of solution! I have the Big Bubble book and it talks about the best soap to use. They say they’ve tried many kinds of soap and the best one is Ultra Dawn (blue), the second best is Ivory (Classic Scent) and the third best was the yellow Joy. I didn’t have glycerin last week and just using the Ultra blue Dawn and water it worked pretty good. I’m excited to go try today with glycerin! Thanks for such a great tutorial. We made ours in no time! The kids had a ton of fun! I couldn’t find any glycerin but our regular sudsy mix of bubble liquid with a little corn starch worked just as well. Hey, I’ve got as a homework to our physics lesson, create this huge buble. But it sucked … I’m getting desperate about it. Can you contact me and help? I did these giant bubbles this weekend for Memorial Day weekend camping. They were a huge hit and very fun. Thank You! Way to make me homesick. 🙁 We just moved away from NYC & those fun huge-bubble guys in Central Park! But now I know how we can bring part of Central Park to us in FL! (That & Magnum ice cream bars with Poland Spring water bottles… ;-))Thanks! Oh WOW what fun!! My kids, especially my littlest ones would LOVE this…thanks for posting this tute!! Thanks for the awesome idea. We did it yesterday. I linked to you. Ours never got as big as yours….but it was fun. I made my string larger at first but the bubbles always popped before they came out. It was really fun, though. Thanks. Wow! That's really awesome! I love your craft! I found it on Today's Creative Blog. I just signed up to be your newest follower. Woo hoo! Stop by and see my sometime on my new site http://www.modernfamilymagazine.com. I love to make new friends! Such a FUN idea! I had to share – I featured it here. Can't wait to try this out in summers to come when my little guy is bigger! Wow, those are awesome! Thanks so much for the great idea, I'll have to get everyone together and do this. I'll be linking as well. My kids are 18 and 12 and they love those giant bubbles. I will deffinately be trying this! That is fabulous! I know my son would LOVE doing this too. Thanks for the great tutorial! I wish I would have seen this a week or two earlier! These are awesome! I will making some! I am featuring this at somedaycrafts.blogspot.com. Oh WOW! Gotta do this and soon, even the grownups would be in on this fun project! Thanks so much! Congratulations, your Make Giant Bubbles project made this week's Top 5 Hits at Singing With Birds! Thanks so much for sharing such a terrific tutorial, pictures, and have a great weekend. I tried to do this over the weekend. The bubbles were big but they popped before they came off the wand. I had a few questions, if you don't mind. First, I used Palmolive, do think that would hurt? Second, the glycerin that I used was from the pharmacy, a laxative??? do you think that would be different from the glycerin used for soap making? Thanks so much, my son really liked this and I would love to do it again! That looks like great fun! I've already been to the store twice this week! Argh! Maybe next week, only a week and a half left before school starts. I have to do that this week! Grant will go bananas for this! I always keep a few bubble blowers around even though the boys are grown. Kids and grownups just can't get enough bubble blowing!! 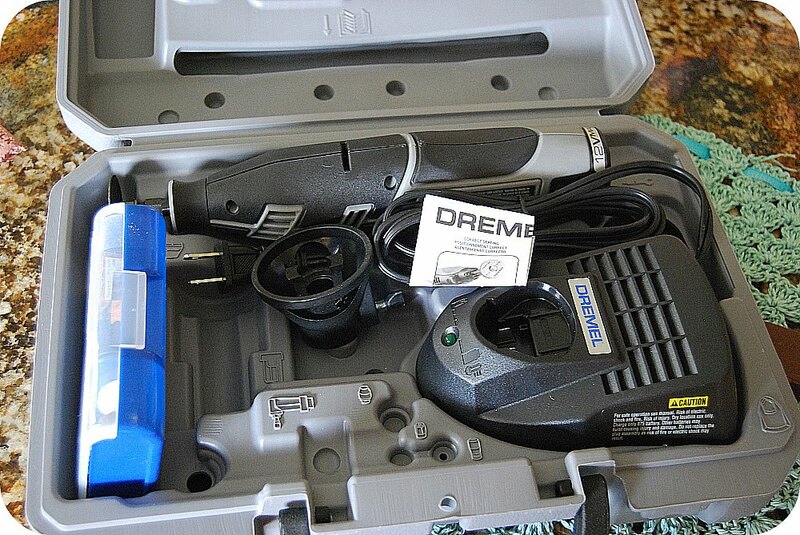 I love the huge blower and will have to see about making one!! How fun!!! My little guys would love doing this! May have to try this with my kids at school! You that is coming up. AAAAAAA! This looks like so much fun! Wouldn't it be a great end of the year activity to do with my 7th grade science classes? They would love it! We will definitely have to do this sometime!! wow such a great idea!!! My daughter LOVES bubbles! And i just know she will be amazed by these huge bubbles!! Thank you so much for sharing!! What is it about bubbles?! I just can't get enough of them. I'm excited to try this! Okay, I don't even have kids, but that looks like so much fun!! Would I look silly out in my condo courtyard, no kids around, making big huge bubbles? 🙂 Silly or not, I just might have to give it a try. My grandkids would love this, even the older ones. Thanks for sharing. I am going to try it. As always you are the greatest. Oh I loved bubble time with my boys! We especially had fun with it on the beach. We did not make them that big, but we used all kinds of things to make bubbles – Tennis racket w/out strings, with strings, coat hangers, fly swatters, pipe cleaners, plastic fruit baskets, etc. I am such a kid that I still love to play with bubbles! Another fun thing to do with my grandson when he gets old enough! Thanks for the tutorial! Bubbles are right up there with rainbows and fireflies! They just make me happy. I would have fun doing this even without kids! When I was in preschool, we made huge bubbles that we could stand in. I still remember it 25 yrs later! Looks like fun. I'll have to add it to my list of "To Do" activities. I did a scaled down version for our class off 20 2nd graders at our end of the year party. It was inexpensive and the kids loved it!!! The short cut version took 2 12" dowels and tied butcher string across the top of both dowels, and another piece across about 8" lower. Every kid got their own bubble maker and I put out 5 trays of bubble mix. Huge success. Basics are the best! That really looks like it would be a ton of fun. They are huge, like you could step into one. That is soooo cool!! And we can do this even though we don't have a yard anymore…. I hope Grandpa has a drill. So cool!!!! Love me some Central Park too!!!! It looks like they are having a great time. I love bubble pictures! Have a great day Jen! Love ya!